While Tyson Fury has not got past Francesco Pianeta just yet, who represents a tough task for him tomorrow night in Belfast, the powers that be have put into motion his plans for afterwards. Namely a super fight against WBC heavyweight champion of the world Tyson Fury. Boxing fans are buzzing at the moment ahead of what would be the biggest heavyweight fight in the sport since Anthony Joshua vs Wladimir Klitschko. Lineal heavyweight champion Fury must first win his fight this weekend but as reported now by the Evening Standard, if he does, the formal announcement for the Deontay Wilder fight will take place on Monday September 20th at BT Tower in London, United Kingdom. A real power move from BT here who’ve been patient along with their new partner, promoter Frank Warren, in assembling a strong stable in 2018 so far. Likely the fight will be a pay per view event in the UK and almost guaranteed it will be on Showtime pay per view in the United States. No date for the fight has been penciled in as of yet but this November or early December is what expected, with the winner then being lined up for the mother of all fights against Anthony Joshua next year. 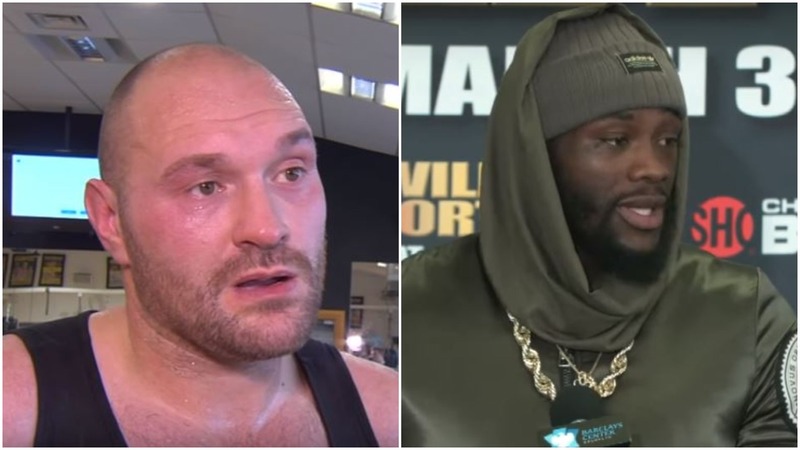 Next Post: Watch: Wilder Storms Fury Weigh In – Fury’s Dad Big John Fury Kicks Off!